JNTUH MBA/MCA 1-1 & 1-2 Sem End Exam Time Table Feb 2016, jntu hyderabad mba 1-1 and 1-2 sem exams time tables, mca 1-1 and 1-2 sem exams time tables. 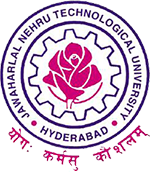 JNTU Hyderabad Has announced MBA/MCA 1-1 & 1-2 Sem End Exam Time Table Feb 2016. Students check and Download official time tables from below given links.